As athletes, coaches, rehab specialists etc. it is important to know the roll our nervous system plays in the way we move. The topic neurology of movement is so vast there is no way we can scratch the surface in one article, so I have included a few relevant and interesting examples. Before we get into it, let's start with some mind blowing facts about this amazing system. A single cell within the nervous system is called a neuron, and the connection between two neurons is a synapse. "There are more possible connections in the brain than particles in the universe... Babies make millions of synapses per second, 3 million synapses fit on a pinhead. You, the reader, have a dynamic ever-changing brain; millions of synapses link and unlink every second That means you could donate 10,000 synapses to every man, woman and child on the planet, and still function reasonably!" Are you convinced our nervous system is awesome and worth thinking about? Good; let's talk movement. There is an area of your brain called the motor cortex that is responsible for coordinating all your voluntary movements. The motor cortex was previously thought of as a well delineated map of the body with areas dedicated to each body part with everyone’s map being more or less the same. If you want to move your leg, the leg part of the map will become active, send a signal to your leg, and allow that movement to happen. Recent evidence, however, tells us that these maps are more dynamic than we once thought. A study published in the European Journal of Neuroscience compared the motor cortices of skilled, right-handed violinists versus right-handed non-musicians. Imaging showed that the asymmetry between right and left cortices were much larger in the musicians than non-musicians. Hence, our brains are dynamic and adapt to imposed demand. In other words, as we learn a new task we experience a “re-wiring” of our neurons to better manage that task in the future. We have all heard the saying, “practice makes perfect,” but I would modify that by saying “perfect practice makes perfect.” Consequently, it is important to avoid ingraining faulty movement patterns in your training or day-to-day life, or they will become a part of you! Now let’s talk about engraining motor patterns. Athletes spend a lot of time working to improve mobility. Let’s face it, if your hips lack the proper range of motion to get deep into a lunge, significant gains will be difficult to achieve. But will dumping a significant amount of extra mobility into a segment immediately translate its way into our lifts? This is a question McGill and colleagues sought to answer. The researchers took a group of athletes with limited hip extensibility and put them through a 6 week program with the goal of increasing extension range of motion. At the end of 6 weeks, passive hip extension was significantly increased. The interesting finding is that the extra mobility was not observed during active movements. Simply put, although the athletes had this newfound extensibility in their hips, they could not translate it into active movements. Does this mean we should throw out the foam rollers and other forms of mobility of work? Not at all; it just means we need to be more considerate of the nervous system. Every movement your body has the capacity to perform has its own program within your brain. The lunge you have done millions of times is encoded into your brain and has its own little movement map. If you suddenly gain an extra 5 degrees of hip extension, you may not immediately see the extra range in motion. Although your tissues have the ability to "stretch" further, your brain map for that movement pattern only knows the original range of motion. The researchers concluded that "training and rehabilitation programs may benefit from an additional focus on 'grooving' new motor patterns if newfound movement range is to be used." So next time you perform or prescribe mobility work, be sure to engrain the movement you are trying to improve. This can be done with simple cueing. If your client’s knee is collapsing in during a squat, wrap a resistance band around his knees to provide an outward resistance. If you’re looking for hip extension, get into a lunge with a band around your back thigh pulling forward. This will cause you to actively resist hip flexion thus engraining that extension pattern in your brain. Be creative with your cues and constantly switch things up to challenge the adaptability of the nervous system. The idea of having brain maps for all our movements is pretty cool, but what if we could feed off other peoples’ brain maps when trying to refine our own movements? Well, we can. This is possible and can be explained by a fairly new discovery called mirror neurons found in the brain. Have you ever witnessed a car accident and found yourself bracing as if you were part of the accident? This behavior can be explain by our mirror neuron system. These neurons fire when we perform a movement but also fire when we watch someone else perform the same movement. What does this mean to us movement geeks? By taking advantage of the mirror system we can better help our clients learn new movements. One of the rules of Gray Cook’s screening systems is “monkey-see monkey-do.” Being able to visualize a movement before performing it helps in our acquisition of that movement. Visualizing a movement does not help you learn as well as actual practice, but it does produce equivalent changes in the motor cortex. The fields of neurology and neuroplasticity are growing everyday, so it would be impossible to give them a fair representation in one article. What is important to know is that our nervous system is dynamic and constantly adapting. It requires proper sensory input for optimal function, and as movement professionals we can use this to our advantage to get the performance results we want from ourselves or our clients. If you have any questions, which I'm sure you do, be sure to post them below and I'll help you get situated with this concept. Clay Sankey is a student at Logan University working toward his doctorate in Chiropractic and masters in Sport and Rehabilitation. He is certified through the Titleist Performance Institute, Selective Functional Movement Assessment, RockTape’s Fascial Movement Taping and Active Release Techniques. 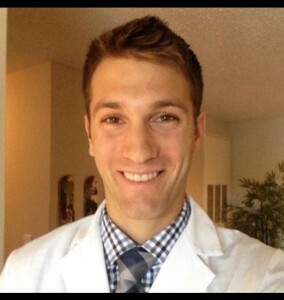 Clay has received bachelors degrees in Life Science from Logan University and Exercise Science from Elon University. While at Elon he competed in cross country and track. Note from James: If you're interested in reading more on this topic, I'd highly recommend picking up a book called The Brain That Changes Itself by Norman Doidge. It's an excellent introductory book to the world of neuroplasticity, and is very user friendly. So be sure to add that to your book list.